Carpet is the most versatile and widely chosen flooring option. The variety of colors, styles and patterns are almost endless and can create a very distinctive and unique look in any home. Choosing the carpet that best fits your needs is best done with a little research. Carpet is made out of one of four types of fiber (there are some blends too) nylon, polypropylene, polyester and wool. There is also a Performance Rating on the label of every residential carpet style, ratings are 1.0 to 5.0. A rating of 5.0 being the most able to maintain its original appearance after rigorous industry testing. A 4.0 rating is considered outstanding and ideal for high traffic homes. While 2.5 to 4.0 will provide normal durability if properly maintained and cleaned. A rating of below 2.5 should only be considered in light traffic areas such as bedrooms. Ask the knowledgeable sales staff at Affordable Carpet & Blinds, Inc. which combination will be best suited to your needs. We also have a large selection of remnants for that smaller project. 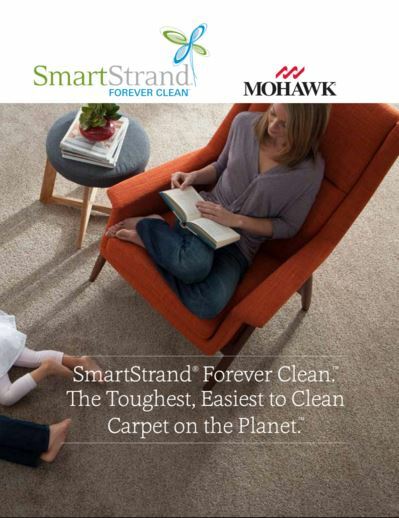 In addition to finding the best carpet to match your existing interiors, Affordable Carpet & Blinds now has Mohawk SmartStrand® Carpet available for installation in Jacksonville. This specialty carpet from Mohawk has lifetime, built in stain protection and Nanoloc™ spill shields for quick and easy cleanup! Call today for a free estimate and design consultation.